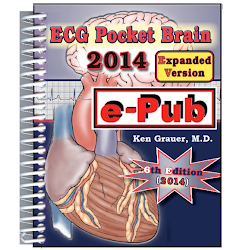 ECG Competency — is an on-line, password protected program for objective assessment of ECG competency in primary care. It has already been adopted by ~30 Family Medicine Residencies nationally for dual purposes of education and documentation. 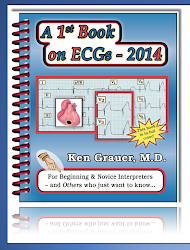 Individuals or Groups may enroll in ECG Competency. Discounts available for group enrollment! 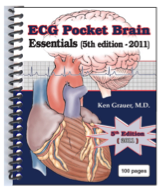 Please Contact Me if interested for Pricing ( ekgpress@mac.com ). 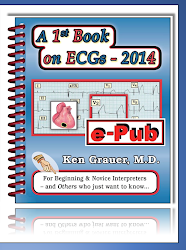 To facilitate orientation to ECG Competency — I have made 2 brief Videos. Below is a timed CONTENTS to each Video. 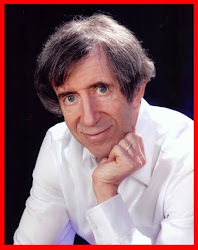 Fast Forward on the YouTube video to jump to the topic you are looking for! 0:00 – Introduction (How to contact me). 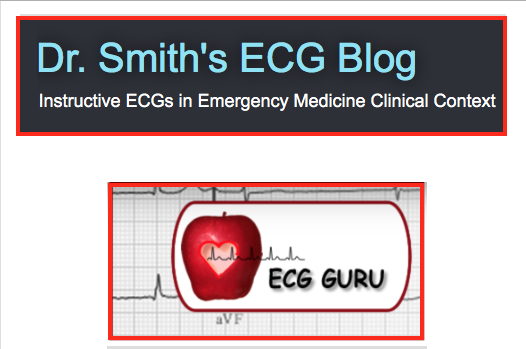 1:13 – What is ECG Competency? 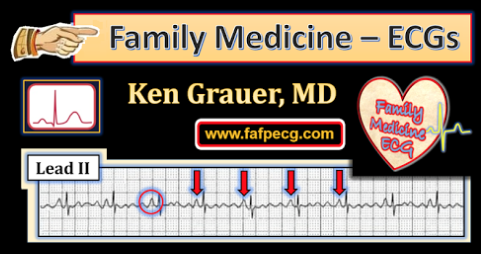 2:06 – How to Log-In to ECG Competency (www.ecgcompetency.com). 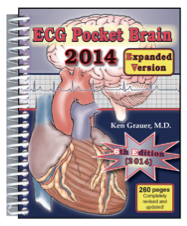 4:24 – You are Now Logged In (Using the Real & Practice ECG Exams). 7:00 – What Practice Exams Look Like (Grading/Clearing Answers). 8:40 – About the Real Exams (Submitting Your Test). NOTE: The above Timed-Links will take you to the precise spot in the Video for the Topic listed IF you are working on a Computer. These timed links do not always work as well on tablet/smart phone (in which case you can manually advance to the time indicated to review the material). 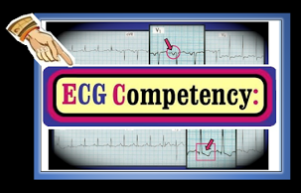 0:53 – ECG Competency: What is the Role of an Administrator? (ADMIN). 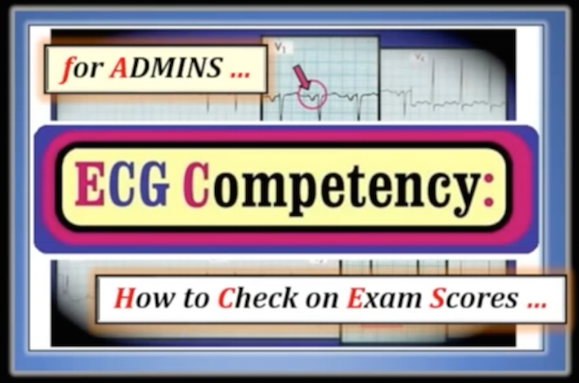 2:07 – How to Log-In to ECG Competency (www.ecgcompetency.com). 3:23 – Your are Now Logged In (Manage my Organizations/Exam Results). 6:03 – Looking at Real Exam Scores (How to Interpret Exam Scores).